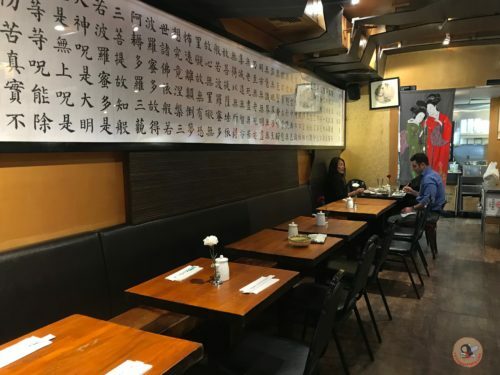 Alpha Fusion is Henry Yang’s Pan-Asian restaurant on 34th street, serving a mash up of Japanese, Chinese, Thai, Vietnamese cuisine. This Bond Street trained chef has always been passionate about experimenting with different flavors and textures. The Spice Route journeys from the Malabar Coast in Kerela, India to the ends of South East Asia touching on the tastes and flavors along the way. 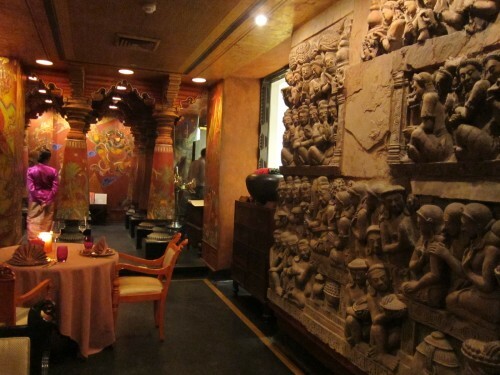 Set in the gorgeous Imperial Hotel, the restaurant Spice Route has been designed by Rajeev Sethi. It was painstakingly created over a period of 7 years. 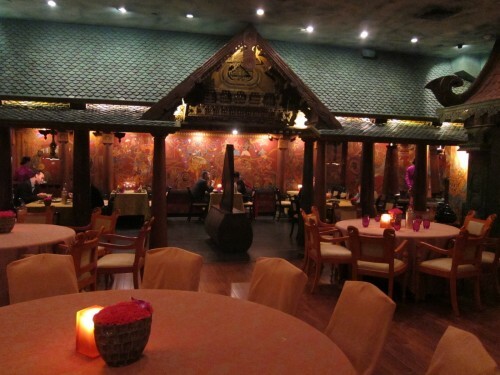 Based on the principles of Feng –Sui, the space is filled with striking, intricate elements, antiques and details from all over South East Asia. The results are quite stunning and really worth experiencing. 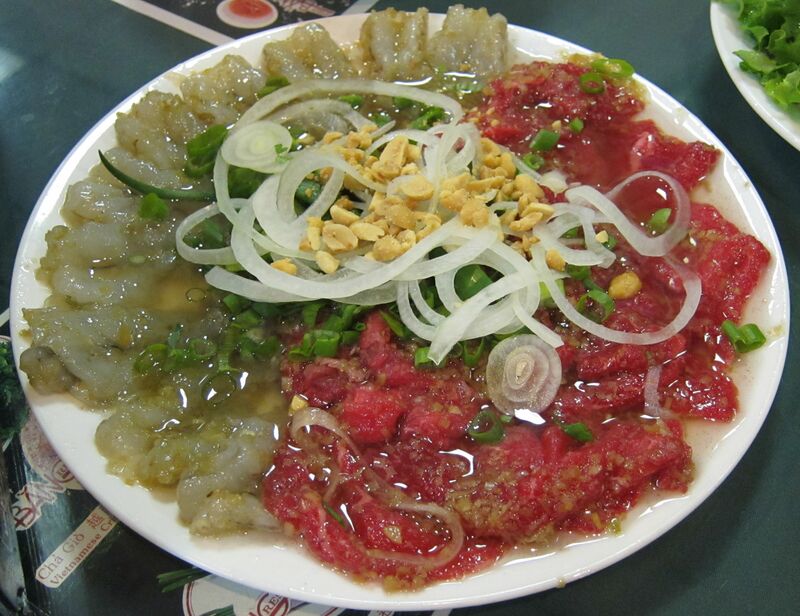 Ever been to a Vietnamese Restaurant and not had Pho? 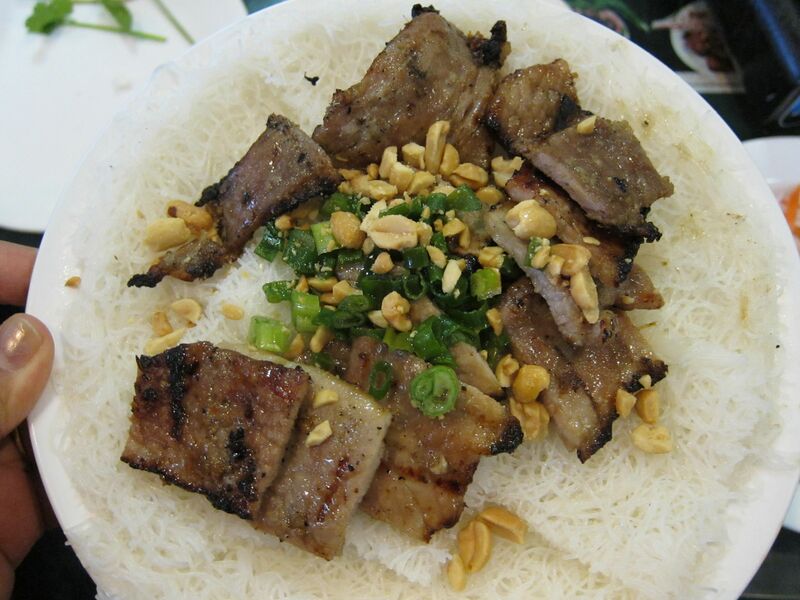 Pho Bang serves up some of the tastiest, bang for your buck eats one can find. The average cost for a dish is between $5-6 and boy do they feed you well. When we went, there were 7 of us. We ate like maniacs- ordered all the meats from shrimp to beef and the bill only came to about $60!! Now that’s a deal. 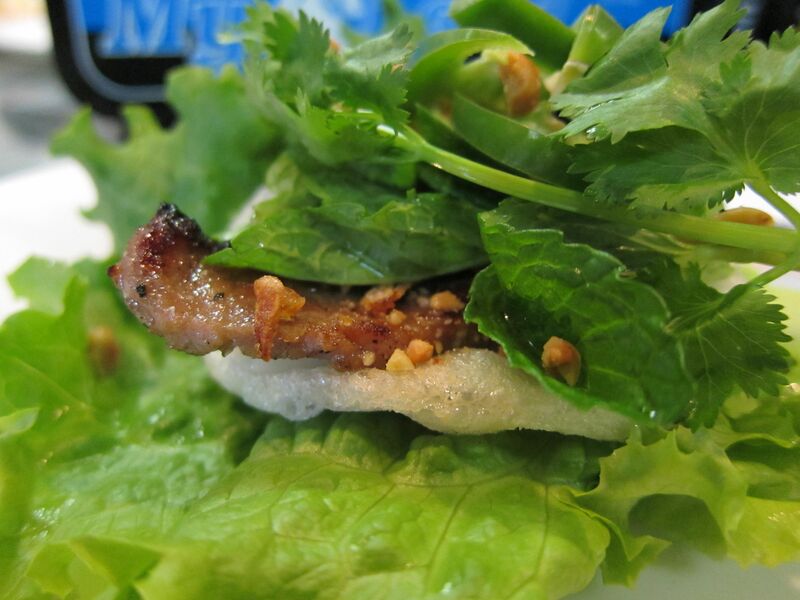 My most favorite thing to eat at Pho Bang is the grilled pork. I think they have mastered their pork dishes. If you don’t eat pork there is plenty you can substitute with. 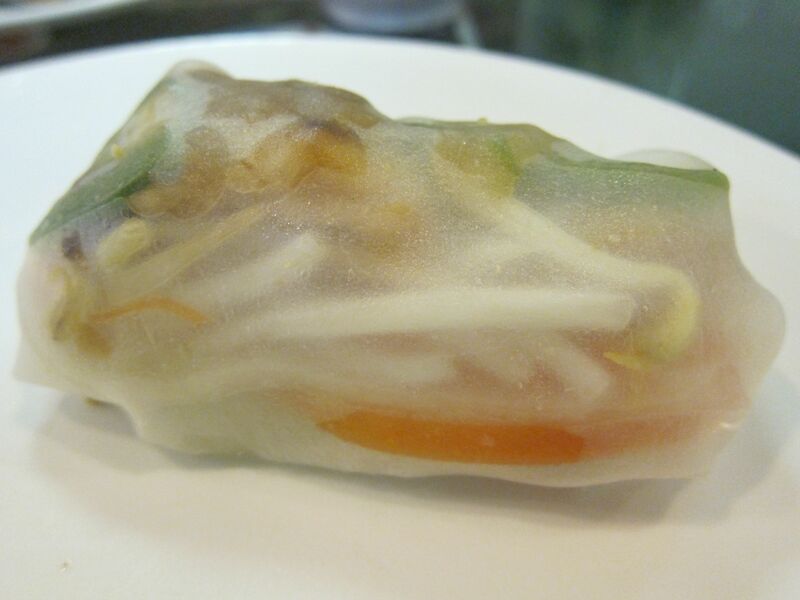 The Goi Cuon is a Vietnamese summer roll, which is wrapped with rice paper and stuffed with cooked shrimp, pork, green leaves, and mint, bean sprouts and rice noodles. It is served with a tangy peanut sauce. I thought their summer rolls were pretty decent. I like my rolls more on the delicate side so when I saw them brining out a big lump of a roll I didn’t think I would like it at all. When I tried it though I thought it was quite tasty. I couldn’t eat more than a few bites of the roll. I found it got too mundane after a few bites. 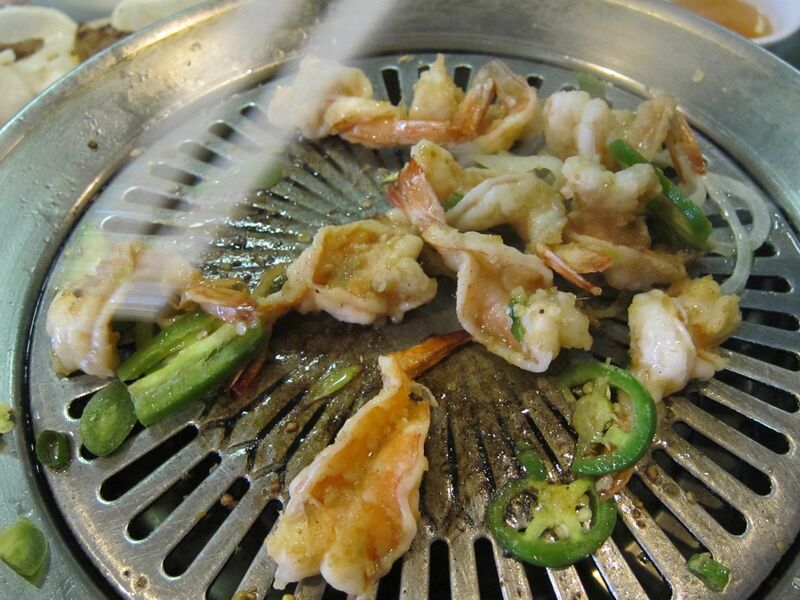 The Tom Bo Nuong Vi is a table grilled marinated shrimp and beef dish, which is cooked at your table. 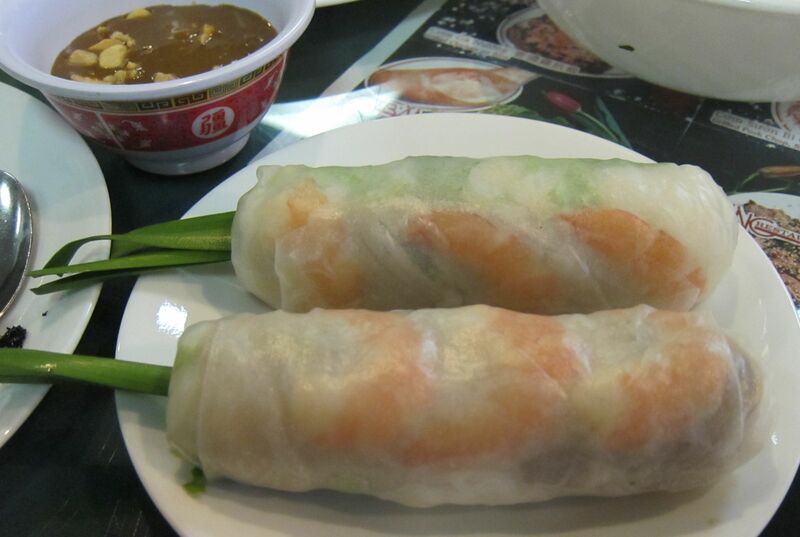 It is then served with rice papers, greens and delicately pickled raw veggies and a dipping sauce. This dish was delightful. 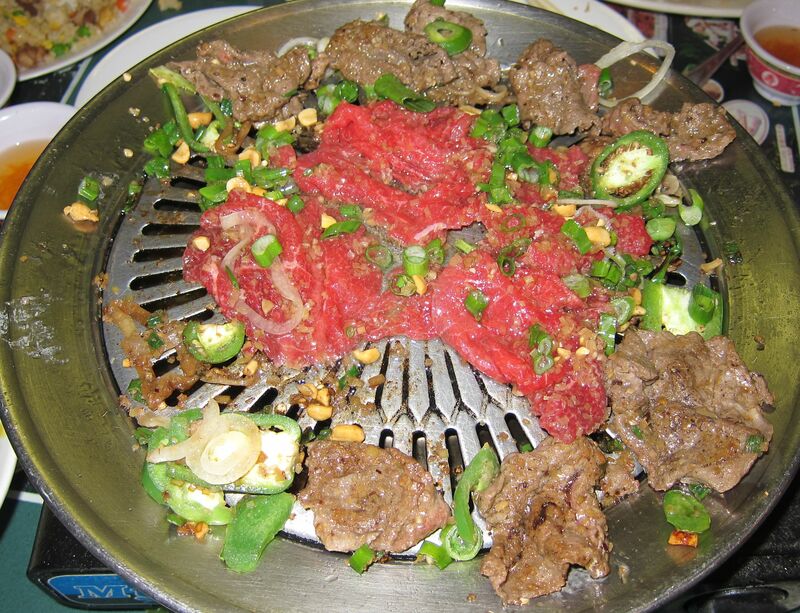 The dish came on a bed of flavored oil, which is used as a cooking medium on the grill. 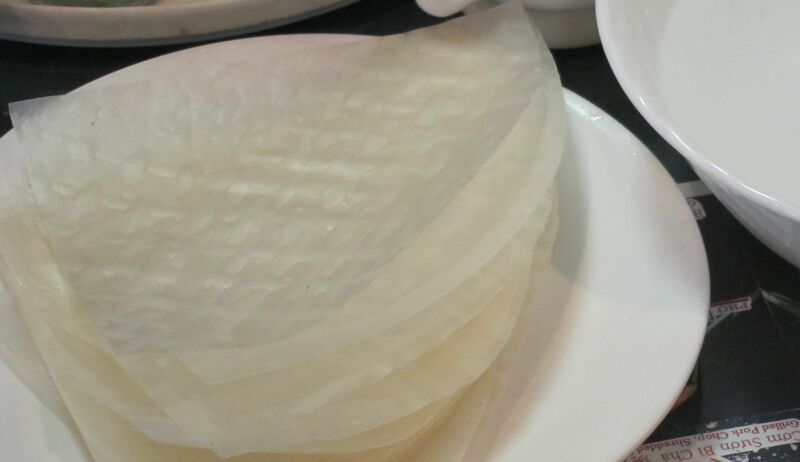 While the meats are cooking, we soaked the rice papers in a bowl of water and waited for them to soften. 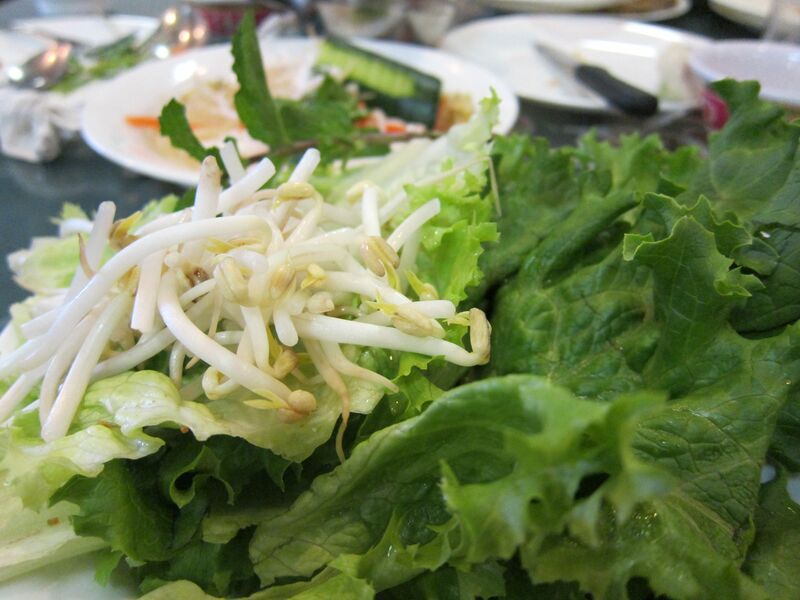 Once the meat is cooked, we wrapped the meat/ shrimp alongside with all kinds of green leaves they provide – such as lettuce, mint and cilantro. We then topped it off with some fresh jalapeños and the dipping sauce and …………well you just have to try it to experience the yumminess of it all. TheBahn Tap is my most favorite dish of all. 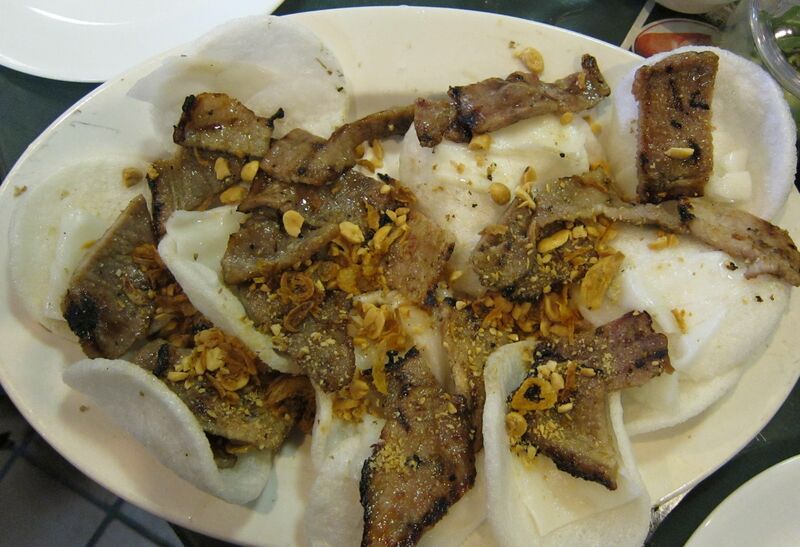 Bahn Tap is an appetizer in which thin pieces of grilled marinated pork are served on a bed of shrimp flavored chips. It is topped off with crunchy, fried garlic and roasted peanuts. 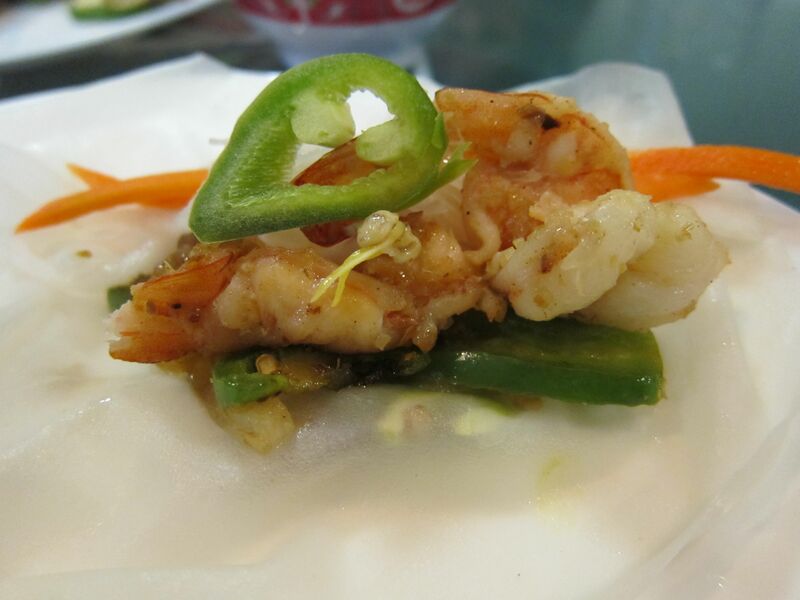 This dish is served with mixed greens and the way to eat it is to wrap the shrimp chips and pork in a lettuce leaf and top it of with cilantro, mint and jalapeños. I think this dish has the perfect combination of all the textures and flavors that good food should. It has the perfect marination for the thin pork, the crunch of the chips and the greens, which are both to different and yet come together to make perfection. The jalapeños add the right amount of spice and interest to this dish. 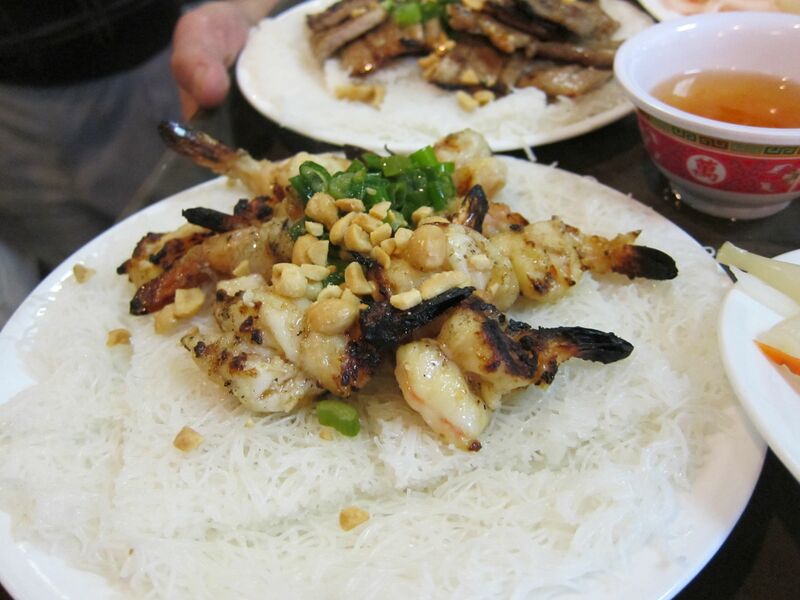 We also ordered the Bun Tom Xao, which is a sautéed shrimp on rice vermicelli, and a Bun Thit Nuong, which is marinated grilled pork, served on rice vermicelli. Both of these dishes are eaten with greens just as the above dishes. Both these dishes were very good too. I’m not a fan of chicken in Vietnamese cuisine. I feel that they do their other meats so much better but the chicken curry dish that we tried really pleasantly surprised me. The Bahn Mi Ca-Ri Ga is a chicken stew with potatoes. 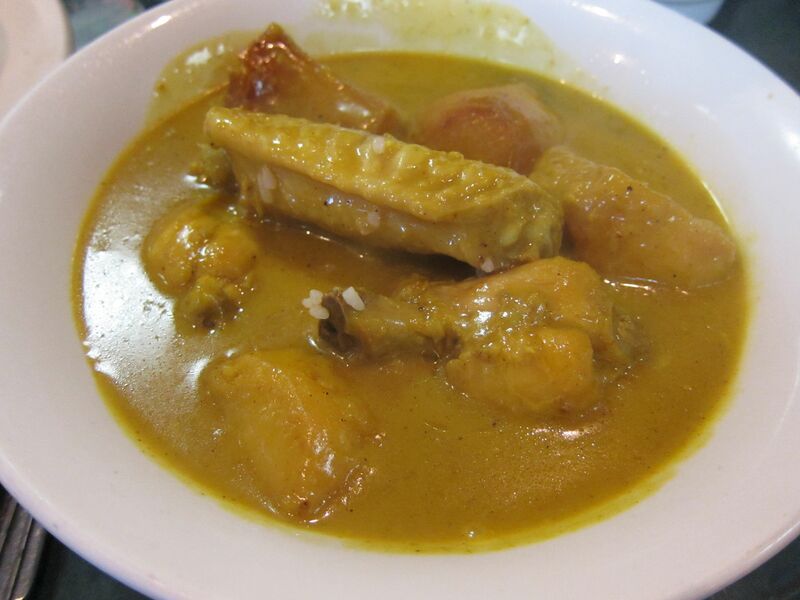 It is hearty stew that is simmered with curry powder and coconut milk. It was really outstanding. The stew had been simmered to the perfect texture where the curry was thick and really delicious. 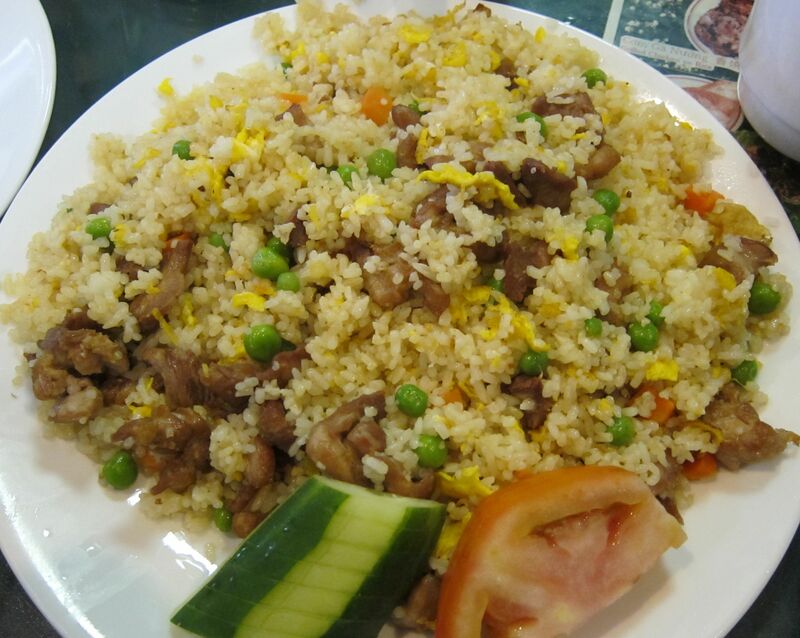 We also ordered a Com Chein Ga Hoac Heo, which is Vietnamese chicken fried rice with green peas. The fried rice on its own was okay but it went very well with the Bahn Mi Ca-Ri Ga (chicken stew). I just love Pho-Bang. Its one of those places that you get an urge to go and eat at every few weeks. 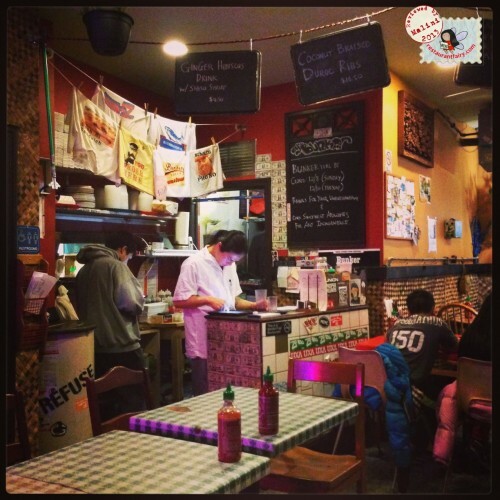 The digs are- well Chinatown – but with food so good and prices so cheap – who cares!! 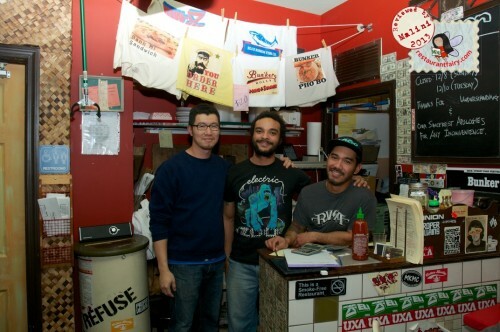 The staff is a cut above the Chinatown rest. In the noisy bustle and quick turn around of tables, they are quite proud of the good eats that they serve up on a daily basis.